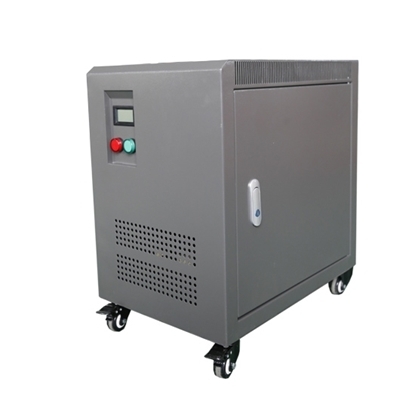 15 kva capacity, available in the circuit of AC 50Hz/60Hz. To step down/up the single phase voltage 208V to 110V ( Various voltages of primary and secondary are available here for your selection). IP 20 protection grade of enclosure for indoor or outdoor use, rated for hazardous locations as well as harsh industrial environments. An isolation transformer is added for personal safety when using some electrical appliances. For example, when repairing a color TV set, the maintenance personnel may suffer from an electric shock if he contacts this circuit accidentally because the power supply unit of the color TV set is connected with the electric supply, thus endangering his personal safety. When repairing some household appliances, the isolation transformer should also be connected. The connection method is: Connect one connector of the isolation transformer to the socket and the other connector to another socket firstly, then connect the repairing household appliance to the socket where the isolation transformer is connected.